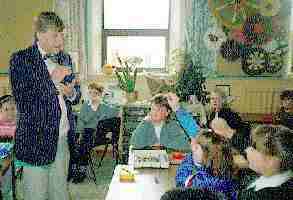 Talking to school-children about new ideas in science, and the youngsters' personal aspirations, has long been a feature of Brian's activities. 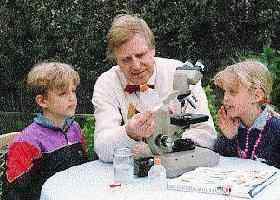 Brian's First Encyclopedia of Science (on the table in this snapshot) sold 70,000 copies in its first month after publication. 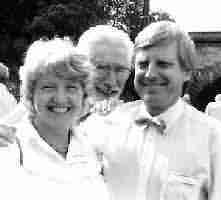 The late John Hillaby, international traveller and author, was a long-standing friend and a trusted adviser. 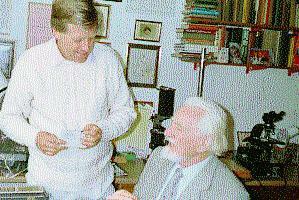 The late John MacArthur and Brian J Ford, seen here in Brian's study, met for lunch or supper at regular intervals.